City Opera House is one of forty-eight opera houses built in Michigan in the 19th and early 20th centuries. Affectionately known as “The Grand Old” Lady, this regional treasure opened in 1892. 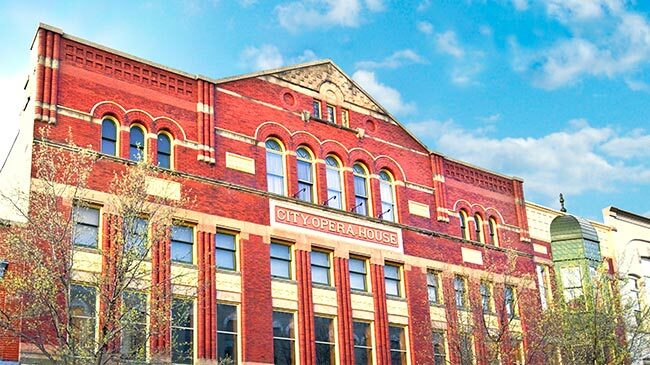 Today only seven of these historic Victorian structures are open statewide. Of these, only the magnificently-restored City Opera House in downtown Traverse City features two world-class Performing Arts series featuring professional national-touring artists, multiple arts education programs for learners ages 8-18, and hosts an active schedule of public and private community events year round. The City Opera House is proud to collaborate with Michigan State University's renowned Wharton Center for Performing Arts to present the Performing Arts and LIVE at the Opera House series downtown Traverse City. 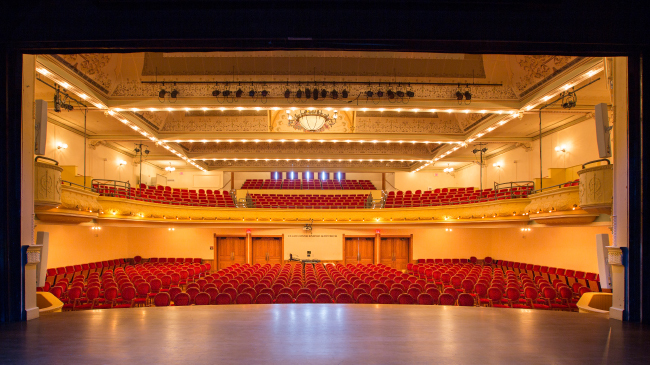 Today, the City Opera House is a destination attraction for quality arts and cultural entertainment, arts education, and public and private gatherings. 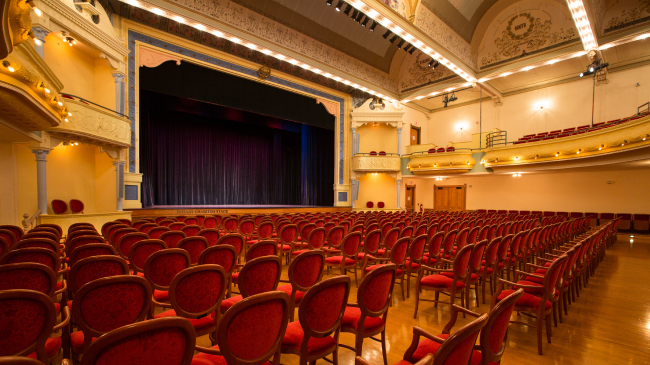 Community-sponsored events, including the National Writers Series, the Traverse City Film Festival, conferences, weddings, proms, family reunions are scheduled in this historic venue, The 680-seat theater’s functional design provides the flexibility to clear the main floor of seating for large gatherings. Unparalleled Victorian charm, superior acoustic quality, and an accessible location all add up to a unique public environment in downtown Traverse City. To promote and nurture City Opera House as a regional hub for connecting people to the arts and each other. encourages a lifelong passion for the arts and adds vibrancy and value to the community. presents excellent programming and education to connect people to the arts and each other. preserves the City Opera House building as an historic treasure, a useful and modern gathering place, and a premiere performance destination. is financially sustained by capable management, patrons and community partnerships. welcomes everyone with respect and excellent service. Integrity, inclusion, leadership, collaboration, creativity, community, effectiveness, respect, service, knowledge, continual improvement, innovation, importance of people. In 1890, three Traverse City businessmen, Anton Bartak, Frank Votruba, and Charles Wilhelm, had a vision: build an attractive venue for the community to celebrate the arts and to enrich the lives of the people in northern Michigan. City Opera House was constructed in downtown Traverse City in 1892 at a cost of $50,000. Rather than calling the building a theater, a term which often carried some baggage in the day, it was built, these venues were often named “opera houses” intended to convey that they were wholesome gathering places of high culture. Over the decades, the building has hosted plays, concerts and operettas, horse shows and donkey basketball games(! ), gala balls, conventions, banquets and more. The City Opera House was added to National Register of Historic Places in 1972. William and Gretchen Votruba gave the building to the City of Traverse City in 1980. Soon after, a committed group of inspired citizens formed the City Opera House Heritage Association. The group was granted a 75-year lease of the historic building by the City of Traverse City, and began a multi-decade effort to restore this cultural gem to its former grandeur and preserve it for generations to come. Its dramatic barrel vault ceiling, fresco paintings, gold leaf accents and Victorian styling offer residents and visitors a vibrant, one-of-a-kind venue for a diverse array of events. 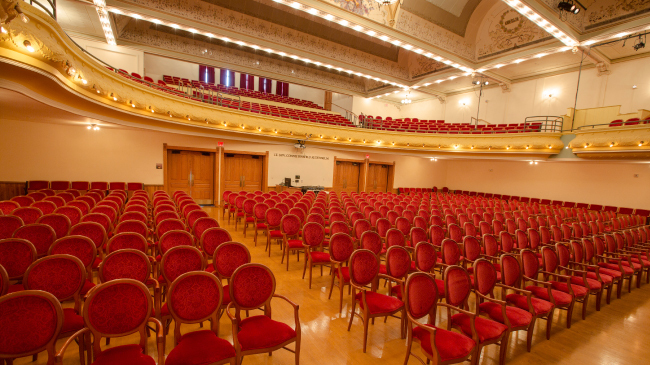 Today, the City Opera House is a destination attraction for quality arts and cultural entertainment, arts education, and public and private gatherings. Rentals and community-sponsored events include the National Writers Series, the Traverse City Film Festival, conferences, weddings, proms, family reunions. The 680-seat theater’s functional design provides the flexibility to clear the main floor of seating for large gatherings. Unparalleled Victorian charm, superior acoustic quality, and an accessible location all add up to a unique public environment in downtown Traverse City. Michigan State University is known as a leader in building creative collaborative structures. Part of its mission is to advance outreach and economic development activities that lead to a better quality of life for people and communities. Its efforts are not geographically bound by the MSU campus. The collaboration between Wharton Center for Performing Arts and the City Opera House is a symbol of MSU’s expanding commitment that extends throughout Northwest Michigan. Closely aligned with the broader mission of the university, Wharton Center strives to enrich the lives of Michigan residents and strengthen the value of the arts in everyday life by serving as a leading resource for renowned arts entertainment and education programs. Across the state and nation, arts and culture influence business development and expansion decisions, inspire downtown revitalization and historic preservation, build community identity, and promote diversity and inclusiveness. Now more than ever, the arts matter! 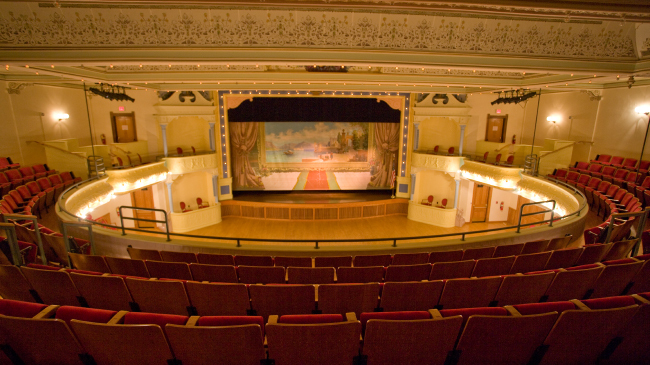 By presenting quality performing arts, participatory arts education programs, and community engagement activities that enhance quality of life, MSU’s Wharton Center for Performing Arts is committed to playing a lead role in helping the City Opera House serve as an important cultural resource for Northwest Michigan.